The Amazon is undoubtedly the greatest river in the world by many measures. For starters, the volume of water it carries to the sea equals approximately 20% of all the freshwater discharged into the oceans. Pastor Doug: Hello friends! This is Doug Batchelor. How about an amazing fact? The Amazon is undoubtedly the greatest river in the world by many measures. For starters, the volume of water it carries to the sea equals approximately 20% of all the freshwater discharged into the oceans. The drainage basin of the Amazon River and its many tributaries covers 2,722,000 square miles. It’s also the longest river in the world, over 4,200 miles long. And during the rainy season, sections of the massive river can be up to 24 miles wide. The mouth of the Amazon River pushes so much water into the Atlantic Ocean, that even after traveling more than a hundred miles out into the sea, you can still dip fresh water out of the ocean. In fact, the volume of water surging from the Amazon River is greater than the next eight largest rivers in the world all combined and three times the flow of all the rivers in the United States. The Amazon is also home to many other extremes of the natural world. Of course, the Amazon is home to the biggest snake, the anaconda; and the world’s most ferocious fish, the piranha. Catfish that live in the world’s greatest river have all the room in the world to grow as big as nature will allow. Some have been captured weighing over 200 pounds! The largest freshwater fish in the world, the arapaima, lives in the waters of the Amazon River. They’ve been found to reach 15 feet in length and can weigh up to 404 pounds. Friends, do you know that the Bible also speaks of a river that is full of life? Stay with us. We’re going to learn more as Amazing Facts brings you this edition of Bible Answers Live. 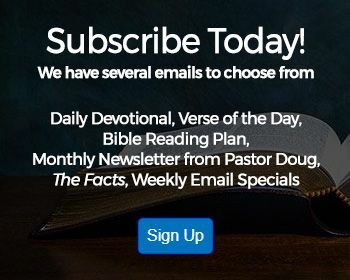 Pastor Doug: This represents one of my favorite hours of the week— a chance to talk to our friends all over the world that want to talk about the best subject in the world, and that’s the Word of God, the Truth. If you have a Bible question, friends, you’ve found your way to a live, international, interactive Bible study! And it’s going on right now. If you want to call in with a Bible question, we’ve got lines open. Good time to pick up your phone and ask any Bible-related question! That number is 800-GOD-SAYS; 800-463-7297. And I am Doug Batchelor. Pastor Jëan Ross: My name is Jëan Ross. Good evening, again, listening friends. Pastor Doug, before we go to the phone lines and start with our questions, let’s have a prayer. Dear Lord, once again, we thank You that we can open up Your Word and study truth. We ask for Your blessing on our program this evening. Be with those who are listening and those who call in. In Jesus’ Name. Amen. Pastor Jëan Ross: Pastor Doug, you spoke about the Amazon River. It’s truly amazing the amount of water that flows through the river; not only the water that flows through, but the amount of life that the river sustains. Pastor Doug: It’s just absolutely abundant in life. You and I were talking just before the broadcast about a verse, and it’s kind of an obscure verse in Ezekiel very few people read. And it talks about a river of life; it’s Ezekiel 47:9. In Ezekiel, we believe, in his vision, he’s seeing something—the New Earth, probably; the river of life spoken of in Revelation. And it says it shall be that every living thing that moves, wherever the river goes, will live. There will be a very great multitude of fish because these waters, wherever they go, they heal! And everything will live wherever the river goes. It’s talking about this river; it’s like the waters, whatever they touch, it comes to life— and not only in natural vegetation that which springs to life, but even the fish and the people! It’s like the water of life. And, you know, it actually makes me think of another river in the Bible that is nothing like the Amazon. What I saw after reading about the Jordan River in the Bible— I’d picture this massive river that’s at least as big as the Missouri or Mississippi. But it’s pretty small in places in the suburb, you could probably wade across it very easily. But it is a river of life in that the Jordan represents baptism. Of course, Jesus was baptized in the Jordan— that’s where John the Baptist began his ministry. And then there’s the story of Naaman who was dying from leprosy. He was washed in the Jordan, and he came up clean … healed. And baptism is a symbol of a bath that heals the soul. It’s like a new birth; it represents a marriage to Christ. And in that sense, it’s something like a river of life for those who participate. A lot of people wonder about baptism. They think… what was that? A symbol in the New Testament but it’s just symbolic… Is it really necessary for a Christian? How important is it? Does it matter how you’re baptized? Does it have to be water? Is it sprinkled? Is it immersed? Is it poured? And our friends might want to know about the healing experience of that commitment of baptism. And we’ve got a special offer tonight that deals with that river of life. Pastor Jëan Ross: It’s a little booklet just simply entitled Baptism: Is it Necessary? Baptism: Is it Necessary? You can receive it by calling our resource number 1-800-835-6747; 1-800-835-6747. And ask for the little book on baptism. We’d be happy to send that to you. Which is, by the way, one of the things on the Jordan River that’s interesting, Pastor Doug is the children of Israel had to pass through the Jordan River in order to enter into the Promised Land. Pastor Jëan Ross: And Jesus said, “Except a man be born of water and of the Spirit, he cannot see the kingdom of Heaven.” So I think there’s a connection there. Pastor Doug: We need to cross that river of life! Pastor Doug: People need to find out. 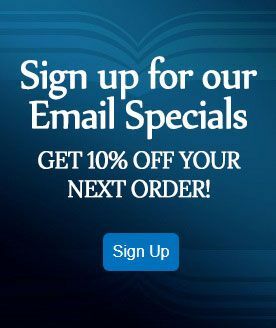 Order that free book! Pastor Jëan Ross: Alright. Well, we do have a question that probably a lot of folks have. It’s this one: God said to Adam and Eve, “In the day that you eat thereof, you shall surely die,” speaking of the fruit of the tree of the knowledge of good and evil. The question is why didn’t they die that day? Pastor Doug: That’s a good question. First of all, they did die that day spiritually. You know, as soon as they ate the forbidden fruit— Adam and Eve were probably going around the garden, and they had this glory of light about them; and after they sinned, it faded. And they died spiritually that day. And then there’s one more thing to consider. If you look in 2 Peter 3:8— “Beloved, be not ignorant of this one thing that one day with the Lord is as a thousand years; a thousand years is as one day.” No man lived beyond 900 years. It’s telling us that back in the Bible, in the beginning generations, it was very common for men to live 900 years! None of them made it to that first one thousand. It’s like they all died in that millennial day. When you live forever, what’s a thousand years? So when God said, “In that day thereof, you will die…” they died physically 24 hours in the instant they disobeyed … I think the Lord bought them grace through His sacrifice He was preparing to offer. And then they did die physically before that first millennial day had expired. Pastor Jëan Ross: Okay. Well, here’s another question. Often, you read in the Bible about two different types of animals— the clean and the unclean. And the Old Testament gives a very clear distinction between what you can eat and what you can’t eat. But sometimes, people ask, “Well, didn’t God cleanse all of the animals and make them all edible?” when He gave Peter a vision in Acts chapter 10. Now, you remember the vision— there was all of these animals and the sheep that was led down from Heaven, and the voice from Heaven said, “Arise and eat.” And Peter said, “Well, Lord, I’ve never eaten anything common or unclean,” and then the voice came down and said, “What God has cleansed; don’t call common or unclean.” Now, He’s not telling us that we can go out and eat anything that we find. Pastor Doug: You know, if people read on in Acts chapter 10, Peter explains the vision, and it had nothing to do with animals. For one thing, three times during that vision, God says, you know, “Rise and eat.” And Peter says, “Not so. I’ve never eaten anything common or unclean.” So that, for one thing, tells us that during the teachings of Jesus, none of the apostles got the idea that it didn’t matter any longer what they ate. Peter’s wondering what this vision means, and while he’s wondering, Gentiles come into his home asking to hear the Gospel. And he goes with them to Cornelius’ house. Later, Peter reports on the vision what it means. He says, “God has shown me not to call any man common or unclean. It had nothing to do with food, and it never even specifies any kind of food that was in the sheet. Never does Peter go to the sheet and take something out and eat it. So, it was a vision that has spiritual meaning, obviously. If earthly parents care what their children eat, our Heavenly Father cares what His children eat. So the idea of this vision means you can eat whatever you want…. I think it’s interesting people are suing fast food chains now because they say, you know, “My health is destroyed from eating regularly at this restaurant or burger establishment.” And we know there’s a connection between what we eat and our health. God is not mocked. And it always was strange to me when people try to make it sound, like, in the Bible, that Christians can be very reckless; and they just pray over anything and there’s no accountability. So, now, the vision is talking about not calling the Gentiles unclean; the Gospel is to go to everybody. Pastor Jëan Ross: Okay. Well, thank you very much. Pastor Doug: We have a lesson, by the way on that. It’s called God’s Health Plan. Pastor Jëan Ross: That’s right! That’s a study guide. To receive it, call 1-800-835-6747. Ask for the study guide God’s Free Health Plan. And we’ll be happy to send that to you. Wilbert is listening on KJIT from Bizmark, North Dakota. Wilbert, welcome to the program! Wilbert: Yes, thank you! Noah’s ark— has it been found? Pastor Doug: Well, there are some who claim it has been found. I think that most of the evidence that I’ve seen is a little dubious. Some folks have been very optimistic. There are reports that, to me— and this is just my personal opinion; I mean I can’t give you a Scripture— you know, that says Noah’s ark has been found, or even a prophecy that it would be found. I think it would be wonderful if it was found because it would really reinforce people’s faith in every other suspect Bible story, you know. People always say that Jonah is a fable, and Adam and Eve is a fable, and of course, Noah, they say, is the mother of all fables— two of every animal of the whole world being flooded— but I think it would greatly reinforce people’s confidence in the Bible that the evidence we see in the fossil record around the world… that there was some kind of a massive cataclysmic flood that paleontologists blame it on an asteroid hitting the oceans that wiped out the dinosaurs, and that’s the only way they can explain the evidence of a flood all over the world. Noah’s ark in the front page of an authentic newspaper would be very compelling evidence. I have heard stories from history. Marco Polo said in his day that in the summer, it could be seen up on the mountains of Ararat on a clear day when the ice pack had melted. And then there were… I think there was a report of a couple of Armenians that went up one year and they seemed to give some very detailed report. They said they found it, they went in. It’s petrified; it’s stuck in this ridge that’s now covered with glacial ice. You know, that sounded somewhat credible to me but there’s no evidence that it’s been found. Wilbert: Have you heard of Ron Wyatt? Wilbert: He’s claims to have found it. Pastor Doug: Yeah, of course. Ron. He’s passed away a couple of years ago. I forgot what year it is. Wilbert: It’s 1999, I guess. Pastor Doug: Yeah, I’m not sold on that discovery yet. I’ve looked into it, I’ve read the evidence, I’ve seen the video. And again, now, you’re dealing with my personal opinion, not really a Scripture anywhere. So, yeah, I hope that helps a little bit, Wilbert. Wilbert: The Turkish government recognizes that, that’s Noah’s ark. Pastor Doug: Governments will recognize anything that will bring in tourist dollars, so that doesn’t surprise me at all. But they have no problem with people calling something authentic. Pastor Doug: That’s right, actually. Pastor Jëan Ross: …that can actually be packed inside the ark. That’s a lot of room! Pastor Doug: Yeah, not only that. People think, well, how could you fit, you know, all the elephants and brontosauruses in the ark? And they’re assuming a couple of things. One, they’re assuming that all the animals are big. Very few animals are big; most animals are the size of a sheep or smaller. The other thing they’re assuming is that not only did Adam and Eve have to bring two wolves, they had to bring, you know, two Chihuahuas and two Schnauzers and two Labradors… No, they just brought two dogs. And all the dogs we see in the world today have come from those two. So, these were the primary progenitors of species that were brought. Anyway, good question, Wilbert! I hope they do bring out substantial evidence of finding the ark, and I think it would do a lot to increase people’s faith. Pastor Jëan Ross: Absolutely. Lana is listening on KJSL from Springfield, Illinois. Lana, welcome to the program. Lana: Thank you. My question is, Mr. Batchelor, it’s in Genesis. I’ve been told, and I’ve heard one of my prayer partners said it, and I heard John Hagee say it, but I don’t know if it’s true. I discussed it with another lady. It pertains to, “I will bless those who bless Israel, and I will curse those that curse Israel.” Is that in the Bible? And if it is, where is it in Genesis? Pastor Doug: And this is spoken to Abraham. Pastor Jëan Ross: Spoken to Abraham. It talks about his descendants, “I’ll make thee a great nation.” That’s Genesis 12:2. Pastor Doug: So Israel today may not only include literal Jews; Israel today is every believer in Christ. They are grafted into the stock of Israel. So, you know, the Bible tells us that it’s no longer circumcision in the flesh; it’s circumcision in the heart. And he is not a Jew, which is one outwardly Paul says, “But he is a Jew that is one inwardly.” So, every believer in Christ becomes spiritually grafted in and is adopted into the tribe of Israel; they become spiritual Jews. And there are many who are literal Jews that will not be saved, because God does not save us based on our race; He saves us based on our hearts and our conversion. That’s why Jesus and John the Baptist said, “Many will come from the East and the West and sit down in the kingdom with Abraham, Isaac, and Jacob,” meaning they’re part of their family. But the children of the kingdom will be in utter darkness. So there might be literal Jews or children of Abraham who reject Christ and reject the Truth and they’re lost; while there are Gentiles who embrace Jesus and the Truth that are saved. Pastor Doug: Does that make sense, Lana? Pastor Doug: You know, I’ve got a book I’ll send you for free. All you’ve got to do is ask. It’s called Spiritual Israel written by myself and another Jew named Steve Wohlberg, and it talks about what the Bible says about Israel today. Pastor Jëan Ross: The number to call is 1-800-835-6747. And, Lana, ask for the book Spiritual Israel, and we’ll be happy to send that to you. Ming is listening on the Internet from Ariton, Oregon. Ming, welcome to the program. Ming: Hi. Thank you. I have a question on Proverbs 26:4-5. Ming: And you know, verse 4 tells you not to answer a fool according to his folly, and verse 5 tells you to answer a fool according to his folly. And I’m kind of confused. Pastor Doug: Which is it? Yeah, is it that you wanted us to answer the fool or don’t answer the fool? This is one of those places— and that is a great pair of verses— this is one of those places where Solomon is speaking in a paradox with a little sarcasm. In other words, if you answer a fool according to his folly, you start sounding like a fool. If you don’t answer him, he’s going to think he’s right. So, when you’re dealing with a fool, you can’t win. So, there’s a little sarcasm in here. He says, you know, for one thing, don’t try and engage a fool; you’re going to end up sounding foolish. Some people have said before, I’m not going to give that question a validation by even addressing it. You can’t win; when you do that, you start sounding foolish. On the other hand, if you don’t say anything, they’re going to think, “Aha! I’m right.” And you almost have to answer him otherwise in their own conceit. Solomon’s saying when you’re communicating with a fool, you just can’t win. This is an example where it’s tongue-in-cheek, and there’s a little sarcasm in there; it’s some Hebrew humor. Ming: Are there any other Scriptures that may correspond with this one? Pastor Doug: Yeah. Proverbs 26:12— “See as thou a man wise in his own conceit; there’s more hope of a fool than of him.” He’s talking in the previous verse about a fool being wise on his own conceit. So, there’s some of those cross-references there. Pastor Doug: Alright. Thanks! I appreciate that. Pastor Jëan Ross: Our next caller is Herman listening on WMCA from New York. Herman, welcome to the program. Hermina: Good night, Pastor Batchelor. In Isaiah 41:1, 5, and 9. I would like to know what area is connected with, when it says “the land beyond the sea” and the “ends of the earth.” Where is that? Pastor Doug: Well, the sea that they’re talking about is the Mediterranean. And they knew that once you went through, even in the time of Isaiah, they realize that once you sail through the gates of Hercules, which is the entrance of the straits of Gibraltar there, that there was another whole ocean out there. And so, Isaiah is recognizing there were lands beyond the lands connected to the Mediterranean. I read just two weeks ago in ancient history, Pharaoh Necho who lived during the time of King Josiah who was living just before Isaiah, Pharaoh Necho is the first Pharaoh who claimed to have circumnavigated Africa. That means the sailors of this Egyptian pharaoh went through the straits of Gibraltar all the way around Africa and back up through the Red Sea. And so, they knew there were other lands beyond the Mediterranean. 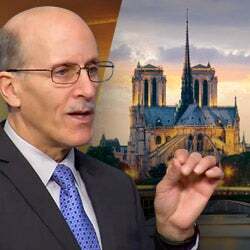 Pastor Doug: Undiscovered lands… so this is a prophecy that Isaiah’s making, that there would be people beyond what they knew around the Mediterranean shores that would accept the truth and become spiritual Jews, as we were saying earlier. And he talks about the islands— not only were there islands like all the Greek islands in the Mediterranean; there were islands beyond. “The isle saw it and feared. The ends of the earth were afraid and drew near.” They had more global knowledge back then than we give them credit for.I appreciate that, Hermina. Hermina: Yes, I really enjoy your preaching. Thanks a lot. Pastor Doug: Well, keep us in your prayers. Pastor Jëan Ross: Our next caller is Frizida listening on WMCA from Brooklyn, New York. Frizida, welcome to the program. Pastor Doug: Evening! Your question? Frizida: My question is in Genesis 1, it says, “In the beginning, God created the heaven and the earth,” and it said, you know, for the six days the different things that He did to form the earth. While He was doing that, was Satan on this earth? Did Lucifer fall at that time? Pastor Doug: Evidently… that’s a good question. Evidently, Lucifer fell before the world was created. Pastor Doug: And he wasn’t on the earth yet because he came to the earth. If you read in Revelation chapter 12, it says Satan was cast out of heaven when there was this war in heaven. And the war in heaven probably predated even the creation of our world because the devil came shortly after our world was made, and he’s trying to spread his rebellion that he started in heaven. So, you know, the Lord did not make a devil; he made a beautiful angel called Lucifer. And that’s something that is outside of our world. Like it’s in the Book of Job when God has this heavenly meeting, and He says to Satan, “Where did you come from?” He says, “I came from the earth.” So there’s a meeting happening in the universe somewhere. And the other sons of God come to meet with the Lord, and Satan comes sort of representing this planet that he captured. You know, we have a lesson that talks about where the devil came from and how he became a devil. And we’ll send you a free copy, if you’d like that. Frizida: Yeah. So that means he fell on the earth then? Pastor Doug: Yeah, that’s right. Once Adam and Eve chose to listen to the devil, they surrendered dominion of this world. God gave dominion to Adam and Eve, they surrendered the dominion to the enemy, and then he sort of took over. But you’ll really enjoy our lesson on Did God Create the Devil? Pastor Jëan Ross: Did God Create the Devil? Yes. Great study guide. The number is 1-800-835-6747, and just ask for the study guide Did God Create the Devil? And Frizida, we’ll be happy to send that out to you. Our next caller is Thomas listening on WMCA from New Jersey. Welcome to the program, Thomas. Thomas: But before that, just quite a number of verses that talk about our heart, and that it’s in Genesis 5, his heart was only evil all the time; in Genesis 8:21, the heart is evil from the childhood; and of course, Jeremiah 17:9, the heart is deceitful above all things. Pastor Doug: Right. That’s probably wicked. Thomas: Yes, and He goes on to say in 15, “But the seed on good soil stands for those with a noble and a good heart who hear the Word.” And my question is if we already had a noble and good heart— and who does have that— why do we need the Word? Pastor Doug: Well, everyone has sinned. So, in that sense, every human’s heart is flawed. But even among the people in the world that all have these desperately wicked hearts, there are some that have a desire for what is good that they have nurtured through their lives— either through the training and influence of loving parents and their reception of God’s Spirit working in their hearts. Some people have noble hearts; it doesn’t mean they don’t wrestle with sin. And you know, at our core, we’re all sort of depraved and you just think about the crazy things that go through our minds sometime. But those who yearn after what’s good and they shun what’s evil, that… God uses noble… its good soil. I mean, keep in mind, Thomas, even soil is dirt. Thomas: Yes, but the unbeliever’s heart… can that be a noble and good heart? Pastor Doug: Well, I think what it means when He says a noble heart, an unbeliever… it doesn’t mean they’re not a believer. Keep in mind that when Jesus was going around preaching this parable, He was preaching to Jews. He was preaching to people who believed in God. But among those who claimed to believe in God, you have some who were hypocrites like the Pharisees, and you had some who were honest like Peter, James, and John. You remember when Jesus saw Nathaniel? He said, “Behold, an Israelite in whom there is no guile.” Nathaniel had a noble heart, and that doesn’t mean he never sinned. Thomas: I see. I see. Alright, well that helps me out a great deal. Thank you so much! Pastor Doug: Praise the Lord! Another happy customer. Thanks, Thomas. Pastor Jëan Ross: Our next caller is Walter listening on Radio 74 from Florida— Lady Lake, Florida. Walter, welcome to the program. Walter: Yes, thank you and good evening. Now, my question is within this… when I can use this as a parallel. God created the world in six days and He rested on a Saturday. Jesus came, He died on a Friday, He rested in the grave, and He was risen on Sunday. Now, can you use as a parallel? Pastor Doug: Well, I think it is a parallel. The Lord, not only did He create the world in six days, and then He rested on the Sabbath, and then He continued sustaining after that. Jesus completed the work of salvation on the sixth day when He said, “It is finished.” Then Jesus rested through the Sabbath just like He did when He made the world. He rose Sunday to continue His work as our High Priest in sustaining the church and caring for it. So, there are parallels there. I think you’re on the right track, Walter. And obviously, friends, you can hear we’re about to take a break. It’s something that halftime chases us whether we’re ready or not. I hope we got a good enough, clear enough answer there for you, Walter. That does free up another line! And if you have a Bible question, you still have a good chance in getting on the program during our second half! Call the number 800-463-7297. And you can also go to the Amazing Facts website where you’re going to find just a whole universe of available Bible study resources of our video, our radio, and much more. We’ll be right back after the break. Pastor Doug: We’re back, listening friends! And if you have just tuned in, this is Bible Answers Live. We’re very thankful that you’re on the air with us. It’s a live, international, interactive Bible study, and we do our best to answer Bible-related questions. And we’re going to go back to the phones in just a moment. My name is Doug Batchelor. Pastor Jëan Ross: My name is Jëan Ross. 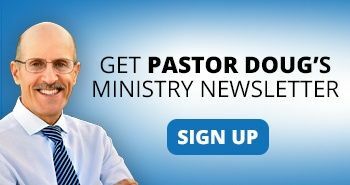 Pastor Doug, we’ve got some great websites. You’ve mentioned one just before the break— the Amazing Facts website that’s filled with all great resources for Bible study. But we’ve also have some other great websites dedicated to different Bible topics. Pastor Doug: Yes! If people want to know something about Bible prophecy… a lot of folks are questioning that. We’ve got several websites dedicated to help people better understand Bible prophecy. One is a website called Prophecy Code. This is a series we recorded a few years ago in front of a live audience in Washington, D.C. and it deals with understanding the principles of prophetic interpretation. We get right into the heart of it. You can listen to it or actually watch the videos right there. We’ve also got a chart at that website if people want to better understand what the Bible numbers mean. What’s the symbolism? What are some of the Bible symbols that you read about— a lamb, a woman, a dragon— what do these symbols mean when you read Bible prophecy? There’s a free chart there people can download. And also, if they go to the Most Amazing Prophecies website, the Most Amazing Prophecies website—dot com— they’re going to see another whole prophecy study series that’s there. And so that was recorded in Michigan in 2007. So, just a lot of information and resources for your study on Bible prophecy. You go to check out these extra Amazing Facts links! Pastor Jëan Ross: Just the other night, Pastor Doug, I was looking at a new website Amazing Facts has called Amazing Facts TV. And I was very impressed with that website. It’s continually streaming programs dealing with different Bible topics. You can just watch it. You can even go on search for a particular subject and watch a video dealing with that topic. Pastor Doug: That’s right. It’s becoming very popular. More and more people are watching TV on the Internet. And if they want to hear some dynamic Bible study presentations and prophecy presentations, very simple— amazingfacts.tv, 24 hours a day. Pastor Jëan Ross: Okay. Going on to the phone lines Gary is listening from Georgia via the Internet. Gary, welcome to the program. Gary: Okay. Thank you. Thank you for taking my call. My question is, you know, since we have these heated political contests going on right now, I was just wondering if God… if it involves us electing a leader for our country. In other words, does God get involved in politics? Pastor Doug: Well, does God get involved with politics? I don’t know that God calls it politics, but Pastor Ross might help me find where it is in Daniel chapter 2, where— I just read it this week— where Daniel says that the Lord sets up kings and He deposes kings. And those, of course, are political leaders. And so the Lord is very much involved through His providence allowing certain leaders to come into power or preventing it. And I think others have seen in history some pretty interesting providential occurrences that determine who ended up being president or the king or the prime minister of various countries. Did you find that, Pastor Ross? Gary: Great. Okay. Good. That answers my question. Pastor Doug: Okay. And, you know, while we’re on that, Gary, before we leave the subject— that does not mean that when someone is chosen as a king or president or prime minister; sometimes the Lord allows a nation to get the kind of leader they have asked for. One time, the children of Israel asked for a king like the other nations, and God gave them King Saul. He ended up being sort of a narcissistic maniac before it was over. I mean, but it was God allowing it. But He was giving the people, sort of, punishing them through their choice of a leader. And so, the Lord allowed it. So, not every time we get a leader can we say, “Well, obviously, they’re in charge. That means that they’re God’s person.” We should pray for our leaders. The Bible’s very clear about that. But sometimes, God allows leaders into power to even chastise a nation. Gary: Well, okay. Okay. Thank you very much! Pastor Doug: Thank you, Gary! Good question. Pastor Jëan Ross: Joshua is listening on WMCA from New York. Joshua, welcome to the program! Joshua: Well, good evening, Pastors. And God bless you, Doug. I’m looking for verses in the Bible that can help me with emotional distress. And I’m looking for pieces of wisdom… and also when you’re in a financial deficit. Pastor Doug: Alright. Well, there’s that promise in Philippians that says, “Be anxious for nothing, but in everything, with prayer and thanksgiving, make your requests known unto God.” Help me with that. Was it Philippians chapter 4, Pastor Ross? Joshua: It was 6, 7, and 8, I believe? Pastor Doug: Yup, you know it. Pastor Doug: John chapter 14. Yeah. Joshua: Okay, so I know that one. For wisdom? Pastor Jëan Ross: Well, James is the classic for that one. “If any man lacks wisdom, let him ask of God, and He giveth to all men.” James chapter 1. Joshua: Okay. We got those... How about financial difficulty? Pastor Doug: Well, I think that you can read there in Malachi 3:8. 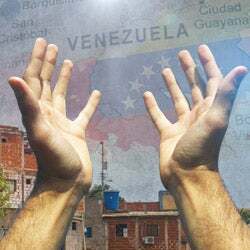 It says, “Bring ye all the tithes into the storehouse and prove Me now,” saith the Lord,” if I will not open for you the windows of heaven and pour you out a blessing that you will not have room enough to receive it.” I think Pastor Ross has another one. Joshua: Yeah. Okay. Thank you so much. Pastor Doug: Can’t beat that. Hey, you know what, we do have a Bible study that we’ll send you, and it deals with that last question in particular. It’s called In God We Trust. And I think you’ll find it very encouraging. Joshua: I would appreciate that. Thank you, Pastor Doug. Thank you, Pastors. Pastor Doug: Okay. God bless you, Joshua. Pastor Jëan Ross: Go ahead and call the resource number, Joshua. It’s 1-800-835-6747. You can ask for the study guide In God We Trust, and we’ll be happy to send that to you. Robert is listening on WMCA from Bloomfield, New Jersey. Robert, you’re on the air with Pastor Doug! Robert: Good evening, Pastor Doug and Pastor Ross! Robert: My question’s concerning which is the best version of the Bible to study and to read? Because there’s different versions, and some of them seem to have passages that were not in the original manuscripts of the Bible. Like for example, John 7:53 to 8:12, I think it is? Robert: About the woman that committed adultery. And of course, the classic example is Mark 16 from 9 down, I think, 9 to 20. Robert: In some case, I know it can’t end the way it does it. And in 16:8, they have the short version, the long version. The thing I’m confused about is, which is the best Bible which would be closer to the original manuscripts?That’s what’s confusing me about it, because I want to know the best that would be closer to the Truth! Pastor Doug: Alright. Well, that is a good question. Of course, the question that Robert’s asking is about English Bibles, because the Bible is in, you know, hundreds of languages. But there are probably more variations of the English Bible than any other language. It’s like the Amazon; probably more than the next top 38 languages. There’s many, many English translations of the Bible. Which is the best one? Now, my answer, of course, is a little subjective. I personally think that an incredible amount of attention went into the accuracy of the King James Bible. They built on the work of both Wycliffe and Tyndale in their translations. And of course, Luther even influenced the English Bible—some of the choices he made. And then, you know, other versions that use those manuscripts, meaning the textus receptus, the New King James Version, the New American Standard… Pastor Ross? Pastor Jëan Ross: Yeah. Just on that, Pastor Doug, you know, we have two main groups of original texts that’s used in especially the newer translations; you’ve got the textus receptus— where you’ve got the King James Version there; there is another group called the Byzantine text— which is very close to the King James, very close to the textus receptus. And that’s where you get your new King James from. And then you’ve got what they call the Alexandrian texts … and those are the texts, the originals that often are used for like the NIV and Revised Standard Version… some of those translations. And that’s where you begin to see some questions as to passages that are left out. And the reason passages have been left out is because it wasn’t part of their original Alexandrian texts. And so the translators just omitted those verses. Pastor Doug: Yeah, and they probably should be mentioned that the A-new text that Pastor Ross is talking about, I think part of it was discovered at St. Catherine’s monastery on Mount Sinai, and it was in a disposal area. So, to translate Bibles from manuscripts that are somehow discarded, I think would be risky. Maybe they realized they were flawed. Pastor Jëan Ross: And in the assembling of the [inaudible] text, a lot of scholars sort of had to pick and choose amongst the text that they had, because some of them contradicted each other. So they were kind of picking and choosing what they thought made sense; whereas if you go with the textus receptus, it’s a much more solid set of original texts. Pastor Doug: And just in case somebody doesn’t know, Robert, I’m sure you do know, the discrepancies of texts we’re talking about right now is the New Testament in Greek. They don’t have these discrepancies with the Old Testament. Pastor Doug: You know, I stick with the King James, New King James, New American Standard. Those Bibles all have used the textus receptus as the benchmark, and I think they’re the safest. Some of the more modern translators… Let me say something here; it’s a little cynical, but I just want to be honest with you. The King James Bible is public domain. I can go print King James Bibles and I don’t have to pay royalties to anybody. In order for a publishing company to make money on the Bible, to own a copyright on the Bible, they have to come up with a new translation and copyright it. Some publishers, because they realize they can’t really make money on the King James— it’s public domain— they have concocted translations. They’ve made translations with differences to try to create a new market. Well, there is nothing really wrong or very little that they can improve on. And so, both the Zondervan and Tyndale, you know, they’ve got copyrights on these Bibles. And you always have to keep that in mind thinking, “Why do they keep printing new Bibles?” Well, they have to copyright the differences. So, if they’re all exactly the same, they say, you know, the courts won’t approve that it really was a new translation, so they’ve got to make it different. Robert: The only problem with the King James Version is the language. And some cannot understand it. Pastor Jëan Ross: ...to understand. Pastor Doug: That’s right. You know, we do have a book that we’ll send you a copy that talks about these translations, and it’s called “The Secret Witness.” If you like a free copy of that, Robert, we’ll send you the booklet “The Secret Witness,” and it’ll talk a little bit about these different translations. Pastor Doug: Did I say “Secret”? It’s Faithful Witness. Pastor Jëan Ross: Faithful Witness. 1-800-835-6747. And ask for The Faithful Witness, and we’ll be happy to send that to you. Lee is listening on WITA from Knoxville, Tennessee. Lee, welcome to the program. Pastor Doug: Oh well, yes. That’s so sad. I’ve heard pastors do that before, and it’s a tradition. They’re really following paganism. I don’t mean to be unkind, you know, I’m not questioning their sincerity. But the Bible’s so very clear that first of all, the parable of the rich man and Lazarus appears one place in the Bible, and it is a parable that’s filled with symbolism that cannot be taken literally. And for a person to build their theology about the state of man and death on that parable is like a person, you know, building their theology about salvation on Jesus’ parable of lost sheep, thinking we’ve got to go shear people. So, you know, it’s an abuse of what Jesus’ message was. Obviously, if a person is not judged until the day of the Lord, if the resurrection does not happen until the Lord comes, the idea that people go to heaven or hell before the judgment or before they’re even resurrected, it opposes all the foundational principles of Scripture! Pastor Doug: Yeah, it’s very sad when you hear people… You know, what some people don’t recognize is that God inhabits all dimensions of time simultaneously. I know that sounds like a pretty profound thought, but God can see the past perfectly clear; He doesn’t speculate … God can live in the past; He can live in the future. And so when the Lord talks about being the God of the living and not the God of the dead, that’s because He sees the resurrection of Abraham, Isaac, and Jacob as though it has already happened. We learn the dimension of time… in the dimension of time that we live in right now, the dead aren’t raised yet. They’re not in heaven yet. They’re not looking down. The Bible says they’ll be raised when Christ comes. Nobody’s burning in hell yet. The judgment hasn’t taken place. God’s not going to take people out of hell and say, “Alright, time to judge you. Alright, you’re judged. You’re guilty. Back to hell.” That’s not how He operates. So, the judgment, the resurrection, these things are in the future. The dead don’t know anything. The Bible tells us in Ecclesiastes 9:5, “The living know they’ll die; the dead don’t know anything.” Psalms 146— “In the day they die, their thoughts perish.” They’re sleeping a dreamless, unconscious sleep. When Jesus resurrected Lazarus, after Lazarus being dead for four days, he did not say, “I was up in heaven singing, and You brought me back.” I mean, why would you be happy about that? He did not say, “I was down in hell roasting. Thank you for plucking me from the fire.” He did not say anything about his four days of death because he had no experience; he was asleep. Yeah, I’m sure you know some of these things, Lee. But if you would like, we do have a free study guide that we’ll send you. And if anybody that has questions about this… a lot of folks are misled and confused about what happens when you die. What is the sequence of the resurrection, the rewards…? It’s in the lesson called Are the Dead Really Dead? Pastor Jëan Ross: Call 1-800-835-6747, and ask for the study guide Are the Dead Really Dead? Pastor Doug, this is such an important topic because if we don’t understand this correctly, the devil will use these lies and misunderstandings to fool people. Pastor Doug: It’s like when King Saul went to a witch to concoct the soul of Samuel, he died the next day after fooling around with that because he did not understand that Samuel was dead. And so he was deceived by the devil. And there are others who will be deceived by— the Bible calls them “spirits that work miracles”— deceiving spirits. You’ve got to know the dead are asleep! Pastor Jëan Ross: Okay. Let’s go to the next caller. Kenard is listening on the Internet from Brooklyn, New York. If I pronounce your name correctly, Kenard, welcome to the program. Kenard: Thank you. Good evening, Pastors. Kenard: Yeah, he tore his clothes. And I’m like he’s almost, sort of, looking for the judgment. Now, what would be the difference between the Sadducees and the Pharisees? Kenard: It’s kind of strange because they learn from the same Scriptures, though. Pastor Doug: Yeah, well, the Sadducees, I guess, were very liberal in their interpretation of the Scriptures. Pastor Jëan Ross: Yeah, the Sadducees only accept the first five books of Moses. Pastor Doug: The Minor Prophets are tossed aside. Pastor Jëan Ross: Yeah. They wouldn’t accept that. Pastor Doug: That’s how that happened. Alright, thanks. Good question, Kenard. Pastor Jëan Ross: Vincent is listening on WJOC from Chattanooga, Tennessee. Vincent, welcome to the program! Pastor Doug: Yeah, well, of course, the Lord tells us in Proverbs 1:23 or 24, it says, “I called and you refused. I stretched out My hand, and no man regarded.” Now, in Proverbs 1, it’s really a… it’s poetic language… something like a [inaudible] of wisdom that he’s talking about, and it’s like wisdom is speaking here. But you’re right that, Vincent, it applies to people who have turned away their shoulder from hearing the call of the Lord. And some folks may choose to repent at the last hour, not because they’re really sorry, but just because they’re desperate, and that’s when all the tribes of the earth mourn. Pastor Jëan Ross: Right, and I think that’s the point that’s brought out in verse 27. It says, Your fear cometh as desolation, and your distress cometh as a whirlwind. Then you shall call upon Me, but I will not answer. So, the reason the people are calling upon God is because of the distress they find themselves in. But that’s too late! Probation has closed! Pastor Doug: Yeah. Just about everybody prays in a foxhole, but not everybody really believes; some are just… they’re desperate. Even the pharaoh— he pretended to repent while the plagues were raining down on him, but as soon as the plague was gone, his heart was just as hard as ever. So, the Lord… you know, there’s other people like that; they’re just crying out because of the consequences, not that they’re sorry that they’ve hurt God. I appreciate that. Yeah, that’s right. They repented but then hung themselves. Pastor Jëan Ross: Bruce is listening on WMCA from Bronx, New York. Bruce, you’re on the air. Bruce: Oh, praise the Lord. Pastor Doug: Well, let me just clarify, because I don’t want to give anyone the wrong impression. It is true that every believer feels a battle between two forces. But when you’ve invited the Lord into your heart, it doesn’t mean you won’t be tempted by the devil. Paul describes his battle in Romans chapter 7, you know, between the Spirit and the flesh. And he praises the Lord at the beginning of chapter 8 that we walk not after the flesh but after the Spirit. But if a person is a believer, and they have the Spirit of God, light and darkness cannot co-exist. A person cannot say, “I’m filled with the Lord and His light, and I’m filled with darkness at the same time.” There may be believers who have ups and downs, where, you know, the devil is trying to gain the upper hand in their life, or they may have momentary lapses where they lose their temper and are… I would say, when you lose your temper, you’re at least temporarily demon-possessed. Sometimes, people say and do things that they should never do, because in that moment of weakness… even Moses lost his temper after forty years of going through the wilderness with the Lord! And so, I just want to be clear that even believers do feel the battle with evil, but they are not possessed. If you’re possessed by evil, you’re not a believer. Now, there’s Mary Magdalene out of whom Jesus casts seven devils, but He cast them out! Pastor Doug: That’s right. No man can serve two masters. Right, Bruce? Bruce: Yes, I believe that wholeheartedly. Pastor Doug: So, you’re on the right track. I appreciate your question. Pastor Jëan Ross: Our next caller is Richard, and he is listening on KARM from California. Richard, welcome to the program. Pastor Doug: Yeah, see, 1 Thessalonians 4 is really talking about a sequence. He’s saying those of us who are alive will not precede, or in other words, be resurrected before those who sleep. But when the Lord comes, the dead in Christ rise first— He’s talking about the sequence. So when we get to Jesus, they are with Him. So when we are caught up to meet them in the air after we’ve been transformed in the moment in the twinkling of an eye, they are with Him. And then we’re forever with the Lord together. Does that make sense? Pastor Doug: Yup. Well, what happens is, when the Lord comes, the first thing that happens is the dead in Christ rise. He says when Jesus comes again that the believers are with Him, and then He explains the following verses why they’re with Him— because He’s raised them. And the ones that we’ve missed will be with Jesus when He comes. Oh, wish we had more time on that question. You know, in our lesson dealing with the Second Coming of Jesus, if you call and request that, we’ll send that to you. That’s 800-835-6747. Friends, we’ve run out of time for this edition of “Bible Answers Live.” We pray that the Holy Spirit has blessed you during the program. We’d love to hear from you! Send us your Bible questions. You can go right to the Internet. It’s amazingfacts.org. Just check out Amazing Facts, you’ll be glad you did. There’s an awful lot there at the mother ship website. Until next week, God bless! Jesus is the Truth that will see you free.